Better late than never, Ani DiFranco returns to Halifax with songs from a new album that speaks to America’s growing disillusionment. "Hello, is this Robyn? This is Ani." Ani DiFranco's familiar voice crackles on the line from her home, and studio, in New Orleans, where she is putting the finishing touches on a new album before trekking north to grace the stage at the Rebecca Cohn. Technically she's a little late getting here. DiFranco was scheduled to headline the In the Dead of Winter festival last January, but had to cancel due to a nasty bout of strep throat. This year winter's coming a little early, and Halifax fans can't wait. 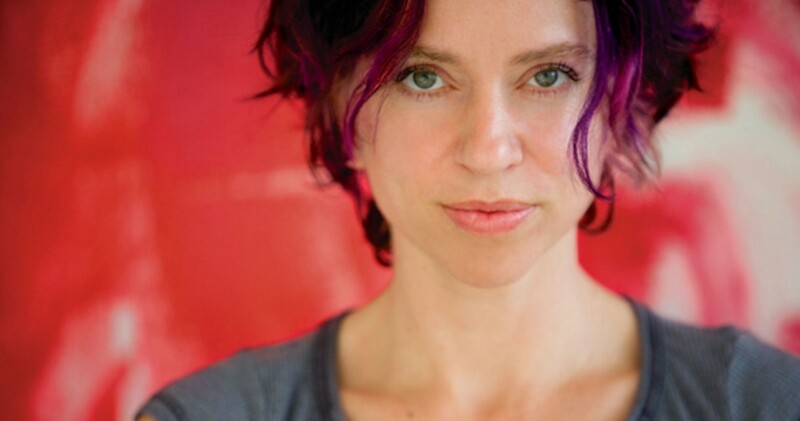 It's been 15 years since DiFranco played Halifax, and a lot has changed. She had a daughter, Petah, now nearly four. Although she never intended to be a parent---DiFranco has written frankly about experiences with abortion---she and her husband greeted parenthood eagerly. "At 36 when I got pregnant it was just the most welcome thing," she recalls. "Please somebody take me away from my trajectory and my tiny thoughts and my own crusade." While parenthood has slowed output---over the last two years she's been eking out time for tours, performances and recording in between moming---the slower pace is good for her craft. "It infuses all sorts of perspectives into the process that I wouldn't have had. If left to my own devices I would just spew things into the world like I've always done I'm sure," laughs DiFranco. "Taking this time to define and develop my songs on record, I think, is already making for much better records although they don't come as quick." Known for taking a strong stance on her records, DiFranco says the new album, out this spring and featuring collaborations with "groovy old dudes" Willie Nelson, Cyril Neville and Pete Seeger, is extremely political, even for her. "I'm not messing around anymore, after 20 records and hundreds of songs it's like where do you go? So I just thought maybe I'd challenge myself to go even further in this direction...I feel the disillusionment seeping in, in an even more profound way. So I speak to the disillusionment on this new record, I hope it really communicates a spirit of don't lose hope."